Use these tips to save gas and cash at the pump. TOP > Car Information > These Five Fuel Saving Tips Won’t Cost You Anything Extra! When it comes to the running costs of your car, it all relates to car maintenance and fuel economy, aside from car and insurance payments and any unforeseen repairs, of course. 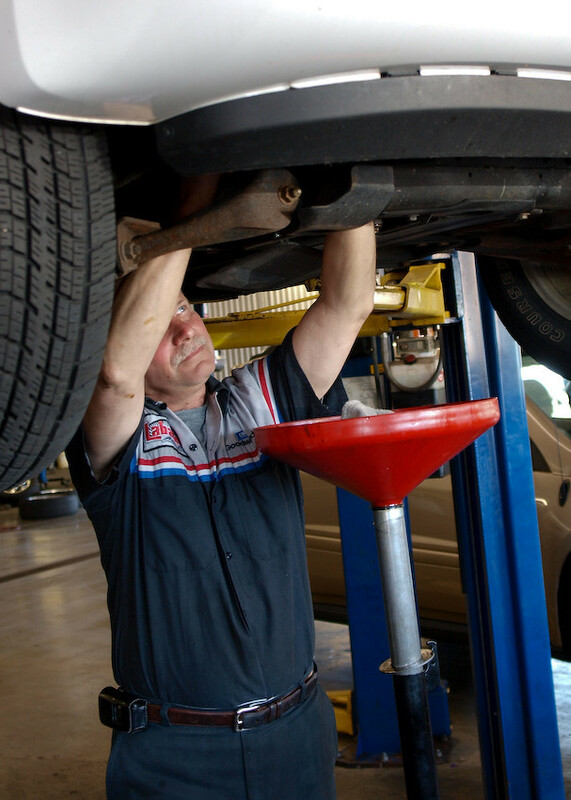 Regular car maintenance is important, because it keeps your car running reliably, so you should plan to change your engine oil and oil filter regularly, typically every 5,000 miles or six months, as well as watch for other necessary maintenance items, such as intake air filter condition, automatic transmission fluid level and condition, and engine coolant level and condition, to name a few. To save money, there are a few of these things that you can do yourself, with a few tools and a little bit of patience. On the other hand, while car maintenance has a small part to play in your fuel economy, it really can’t fundamentally change the car itself. For example, you’d be hard-pressed to squeeze the same number of miles per gallon out of a six-cylinder sport utility vehicle as you could from a four-cylinder compact car. If you really want to improve fuel economy, you’d most-likely have to buy an economy car or a hybrid car. The problem is that, maybe you can’t afford a hybrid car right now, or they don’t even sell hybrid cars in your market. Is there anything you can do to improve your fuel economy in your current car without spending a lot of money? Really, it all boils down to driver habits and proper car maintenance, and these five tips can save you a lot on refueling costs. Regular car maintenance. We already mentioned that maintenance has a small part to play, but it can quickly balloon into a big part when things go too far. Regular engine oil changes keep oil passages clean and reduce the load on the engine. Some modern engines require 5W-30 oil, but may be able to run on 0W-20 oil, for example, which reduces friction and engine loading, freeing up more energy to turn your wheels. Maintaining proper tire pressure can significantly improve your fuel economy. You can find the proper tire pressure in your owner’s manual or on the driver’s door jamb. The United States Environmental Protection Agency estimates that, for every 1 psi below specification, you can lose 0.3% of your fuel economy. Considering that millions of cars are running around with underinflated tires, why not make checking and adjusting your tire pressure a weekly ritual? A tire pressure gauge may cost one or two dollars, and it takes about five minutes to learn how to use one. A local shop might even do it for free. Do not ignore the check engine light. Part of regular car maintenance is keeping the engine running properly. If the check engine light is illuminated, this means that the engine controller has detected a fault, even if you feel no accompanying loss in performance. When the check engine light is illuminated, it also puts the engine controller in a backup “limp-home” mode, keeping the engine running, but not as efficiently as with all sensors feeding back properly. A faulty oxygen sensor, for example, could impact fuel economy by as much as 40%! Take a load off… your car, that is. Chances are that you may have a bunch of things in your car that you don’t actually need, and all that extra weight could be impacting your fuel economy. Really, this makes sense because your engine has to work harder to haul around that much more weight. If you just got your tires changed, there’s no reason to haul around the old ones for weeks on end. If you just got back from family vacation, unload all that gear and put it away until next time. Similarly, stuff on the outside of your car, such as roof cargo boxes, can also impact fuel economy, because they reduce aerodynamic performance. Around town, even an empty rooftop cargo box can reduce fuel economy by up to 10%, but highway speeds can impact it as much as 25%! Your best bet is to move those essential items to the inside of the car. Still, even if there isn’t enough room inside the car, make sure you remove the cargo box whenever you aren’t actually using it. Combining trips and carpooling don’t cost you anything extra, but do require a little more planning. For example, if you have to make a bunch of small errands, such as to the market, post office, and pharmacy, can those perhaps be combined into one trip, when you drop off the kids at school? Your engine doesn’t run as efficiently when it’s cold, and small trips may never heat the engine up sufficiently to get into that efficient mode. Combining trips, you can get all the same stuff done, and your engine stays at operating temperature for more of those trips, saving you money on gas. By the same token, a lot of fuel can be saved if you consider carpooling with your neighbor. If you live and work fairly close together, a little planning can get you both to work and home, while spending maybe half as much on fuel. If you can manage a full car, you can reduce refueling costs by as much as 75%! Also, you get access to highway HOV lanes, which usually flow smoother during peak hours. True, following these tips may not gain you hybrid car fuel economy, but imagine if you applied all of them? Imagine the worst-case scenario, an aggressive driver, in a 30 mpg car, with an empty roof-mounted cargo box, check engine light, and four tires with only 20 psi in them. It might be getting just 12 mpg, all for lack of following a few fuel saving tips!